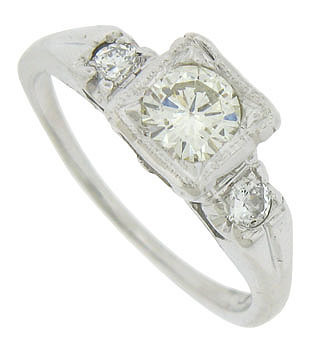 A brilliant .35 carat, H colored, Si1 clarity round cut diamond is set in the face of this 14K white gold estate ring. 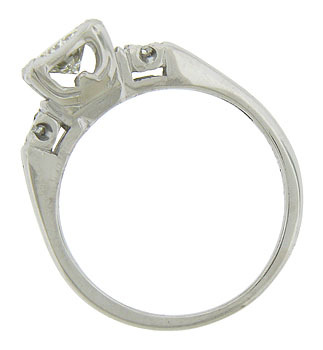 Additional fine faceted diamonds adorn the rings shoulders. 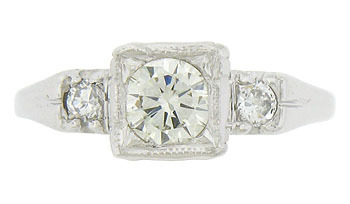 This elegant engagement ring measures 6.30 mm in width. Circa: 1950. Size 4 1/2. We can re-size.